Every single time I meet up with this family we end up spending at least another hour after the session just catching up! I’ve been working for them for over 4 years now. I’m kind of sad that their milestone sessions are coming to a close. Then I’ll only get to see them yearly! This is one of those sessions that was continually rescheduled do to mother nature. Even the morning that we met up they predicted rain and we were scrambling to get done quickly. 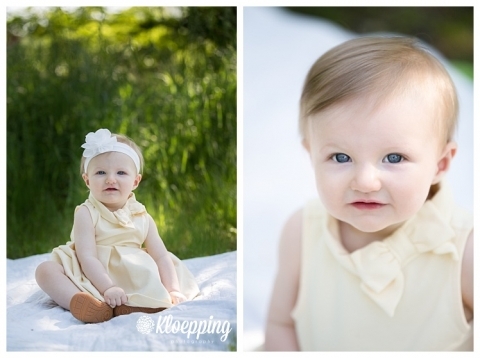 Thankfully everything held off and we managed to snap a bunch of great ones of little K and her brother. She was a tricky one to get to smile unless you employed her brother! He was amazing with her and pretty much the only reason she smiled for me (he was bouncing around behind me). See?! Look at her looking at him below! So much love! I really wish I had a pull back of our location. We were literally 20 steps from their front door. Across the street on a small access path around the pond. The perfect spot and so convenient to them! I’m feel so privileged that family entrust me with some of their most precious moments! And it makes me so happy when the continue to come back year after year. Nothing tickles me more than getting to see families grow! !